Although we claim to live in a modernistic world today, there are still several places on earth that have relatively been left untouched by civilization. These places don’t have access to several facilities we tend to take for granted. One of them happens to be electricity without which the people of these regions face innumerable issues, including lighting, heating, cooling and food preservation, etc. In most cases, lack of access to these resources leads to food wastage on a large scale in these areas. 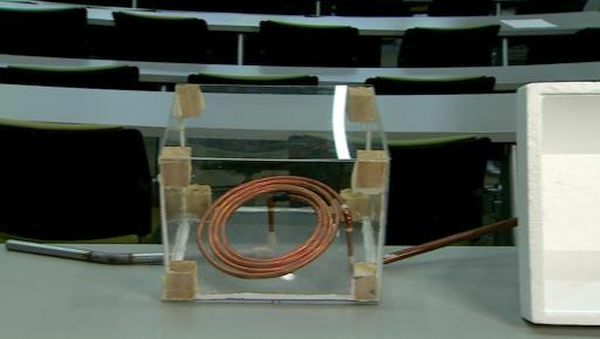 A group of students at the University of Calgary has discovered a way to preserve food by cooling it without using any electricity in the process. It’s idea: WindChill, the electricity free refrigerator. The WindChill refrigerator has been designed for the sole purpose of food preservation in those areas that have limited access to electricity and money. The refrigerator has taken into account several cues from nature to help preserve foods in cool surroundings. This, in turn, will help prevent food wastage and ensuing malnutrition in several developing countries. While we have got accustomed to solar powered refrigerators, the WindChill does not use solar power to provide the necessary cooling factor for foods. Rather, the WindChill refrigerator is based on a new tech prototype that emulates the animal kingdom via biomimicry. With this technology, the refrigerator can imitate animals like elephants, bees, coral, termites and kangaroos, etc. in their natural habitats. The cooling mechanism adopted by WindChill takes its inspiration from the temperature regulation habits adopted by mammals and insects. The refrigerator makes use of three steps to emulate these habits, with each step taking inspiration from a different kind of animal. This step begins at an intake pipe that lets in ambient air via the same method adopted by several marine animals that accelerate water into their pores. A part of this intake pipe is buried under the ground and cools the incoming air via the same method adopted by termite mounds. The second step involves this inbound air flowing into a copper pipe located within a transparent evaporation chamber. This chamber also contains fluid which evaporates when the sun’s rays falls on it. The evaporated fluid, in turn, cools the pipe as well as the air inside it. This particular step takes inspiration from kangaroos and elephants, according to the students at the University of Calgary. The final step involves a process in which another pipe carries the cool air underground again. This allows the air to cool further until it is finally let into the food storage chamber. The initial prototype introduced by the students includes a solar powered fan present in the evaporation chamber. 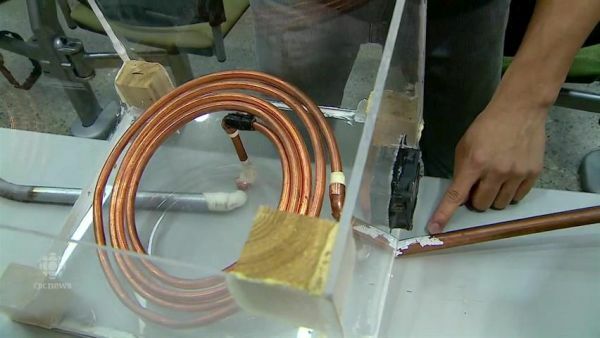 While one may argue that this entails the WindChill to in fact, use electricity, the students have revealed that the final prototype will not feature the fan and will be able to function without any electricity. The WindChill has won many accolades around the world for its revolutionary design technology. 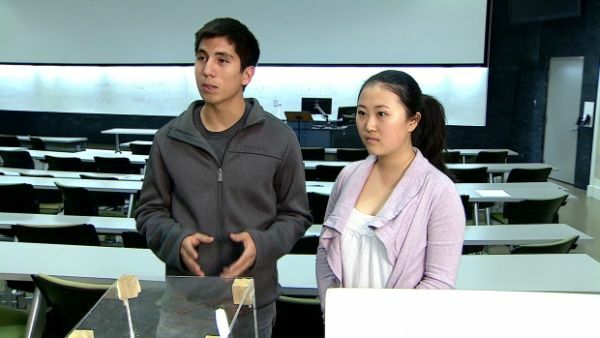 The invention was recently awarded the first place in the Biomimicry Global Design Challenge (BGDC). The invention won first place in the student’s category for its dedicated aim to combat critical sustainability issues in developing countries using nature-inspired solutions. The WindChill Food Preservation Unit is definitely something to look out for in the future. Through an ambitious proposal for implementation and development, the refrigeration unit can change the way food is preserved in areas that have limited access to electricity. It can also change the future of the food transportation industry by using nature inspired habits. It is an essential tool that can change the very lives of those in need of it. The WindChill refrigeration unit is a one of a kind device that can cool and preserve food without using electricity. The refrigerator takes its inspiration from the natural temperature regulation habits of animals and insects to cool food effectively. It can be a great tool of survival in countries that do not have access to electricity or money.